I envisioned my kids crawling on the table and breaking things, and they surely wouldn’t be able to sit still and listen to poetry. But here they are at ages 3 and 4 enjoying poetry tea time. The truth is, I was intimidated by the thought of poetry tea time & active preschool boys. I let my intimidation keep me from trying what turns out to be one of the best parts of our homeschool. Funny enough they look forward to our poetry teatimes now. 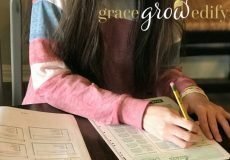 We try to do at least two a month routinely in our homeschool. You may be wondering why I do a poetry tea time with two preschool boys or more importantly how. I want to answer both of those questions today because I recently got asked about how we make poetry tea time work with preschoolers. All you need is a bit of habit training and a few carrots to dangle, and you can be enjoying poetry tea time with your preschoolers like a pro! We are creating a habit. 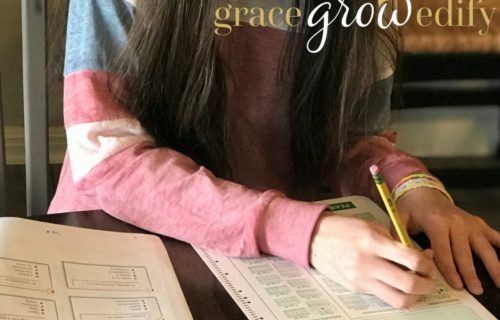 After a decade of homeschooling I have learned that it takes a bit of training and repetition to cultivate the homeschool we desire. I want to instill a love of words, poetry, and reading to all of my children. 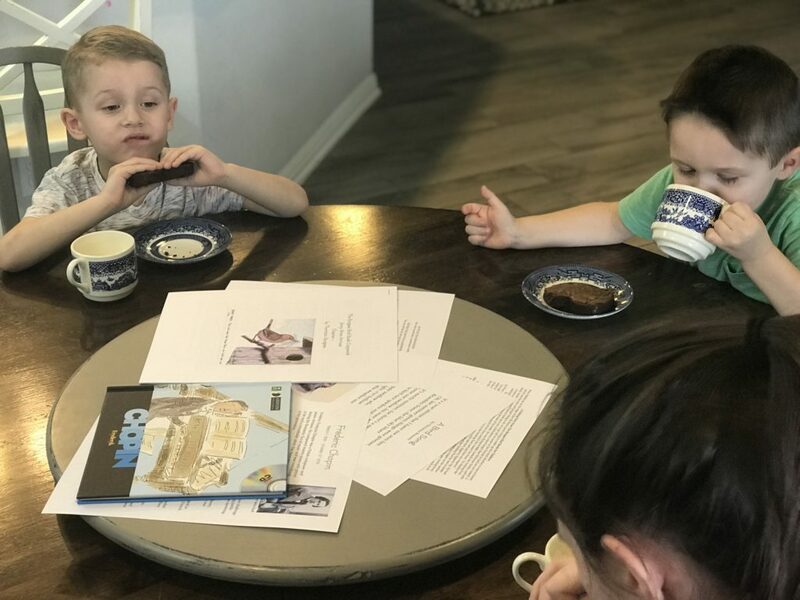 I was apprehensive about trying poetry tea time with my boys because I knew we would have to create a new habit and learn how to sit and listen. And naturally, my boys are more active and a bit rambunctious, so I thought a lot about how to include them without chaos. After much thought, it seemed natural to incorporate them into poetry tea time early on. 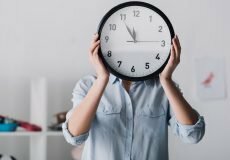 The idea parallels with learning to sit quietly in church, in restaurants, and other situations that I would like to approach with a level of calmness. Food. All boys love food, no matter what their ages. I never try to have a meaningful conversation with my husband if he is hungry. The outcome will not be as successful, so I try to talk with him after he has eaten and there are fewer chances for irritability. Most of you ladies know exactly what I am saying! The same goes for preschool boys. We try to make something special to eat for every poetry tea time. So they are excited about the treats, and they now know this is a time for listening. Books. 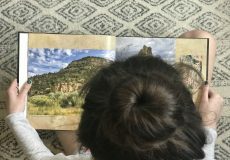 Our poetry teatimes always start with a picture book that goes with our monthly homeschool themes. 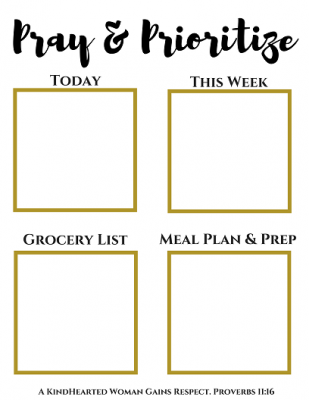 Using preplanned monthly packs help me to save time on choosing books that will go with an overall theme for the month. Poetry. Choosing poetry can be daunting. Don’t get me wrong I adore poetry. But searching for the right age-appropriate poems for each theme or season can take time. I love monthly plans that already include a variety of poems to choose from. We usually read 3-4 poems at each poetry tea time after our picture books. Let Them Linger. 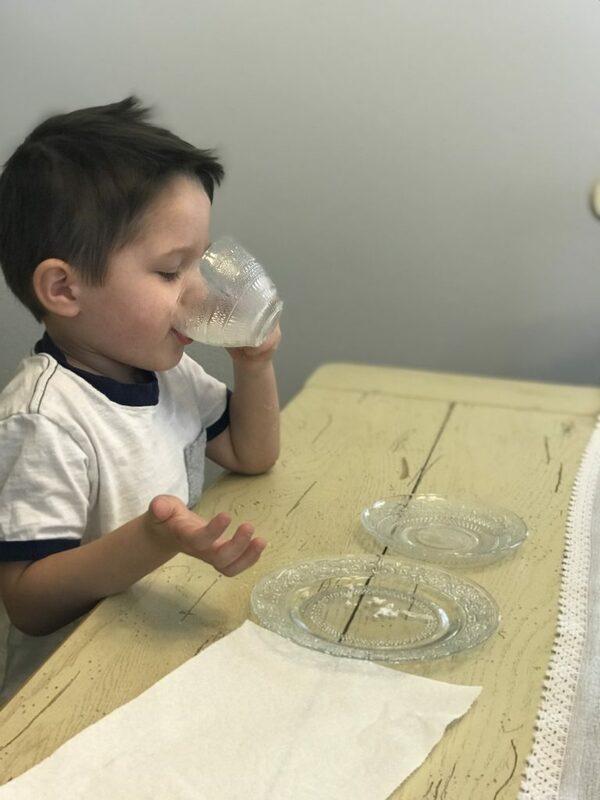 After the boys have eaten their treats, they can linger a bit longer by drinking milk, teas, or juice in a fancy teacup. I choose a different beverage each time and pour it into a beautiful cup that I bought from goodwill. That way if they happen to break it, no big deal since it’s not a collectible or anything of major value. Music. Poetry tea time for us will include books, poetry, and often classical music. Poetry tea time is an excellent opportunity to add in all of these rich and lovely things. Once we have done everything geared toward the younger children or covered all of the multi age material, the preschoolers are allowed to go quietly play so that my oldest and I can dig further into composers, art studies, and more profound poetry. Make it your own. It doesn’t have to be tea or handmade treats. Use juices or milk and store bought cookies. It’s about the experience and the habits you are creating. It doesn’t have to be fancy. Head out to the backyard or a park to leave your crumbs behind. Bulk baking. We love homemade cookies for our poetry tea time treats. I will triple or quadruple a batch of cookie dough and freeze it, which makes it super easy to pull out a bag or roll of cookie dough the morning of poetry tea time and bake fresh cookies that afternoon. Be consistent. Try to incorporate it into your homeschool plans weekly or bi-weekly so that you can keep a consistent rhythm with poetry tea time. Your kids will learn to look forward to it, and you get to incorporate some beautiful poetry and readings into your homeschool consistently. Take a load off. 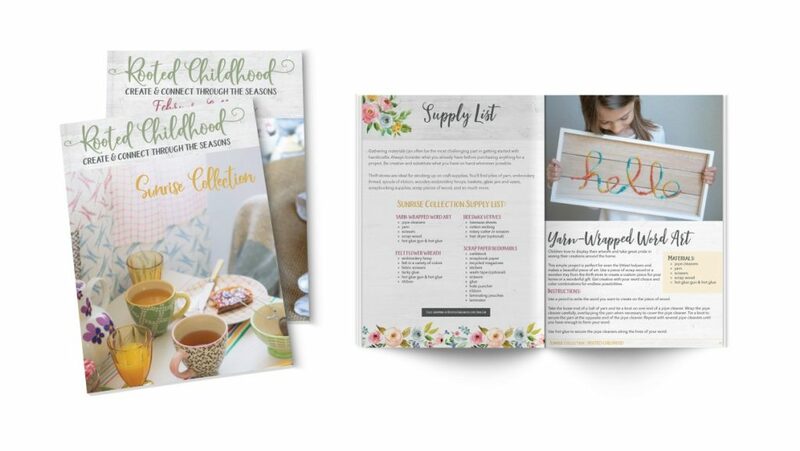 Purchase book lists, preplanned poetry and lesson plans that incorporate the things you love. 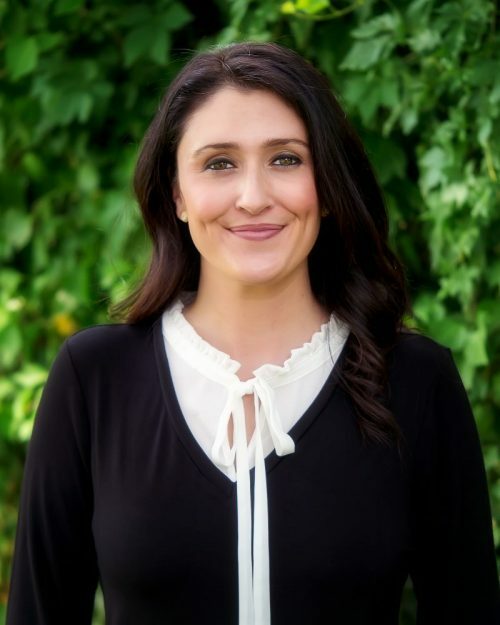 Make it easy on yourself so that you can plan less and enjoy your children and your homeschool more. Especially if planning every detail stresses you out. It doesn’t make your homeschool any less unique if you utilize plans you didn’t create. 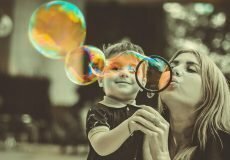 Using preplanned lessons and ideas help me to be a better homeschool mom. 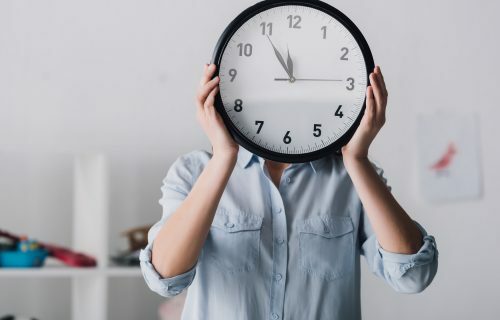 I get to finally do all the things I never had time to plan. Be Patient. The first attempt at anything may not always go exactly as planned. Be patient, and after a few times, your children will start to know what to expect. They will begin to enjoy it and ask you when you are doing poetry tea time again. 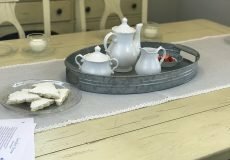 Here Are a Few of My Favorite Resources for Poetry Tea Time. 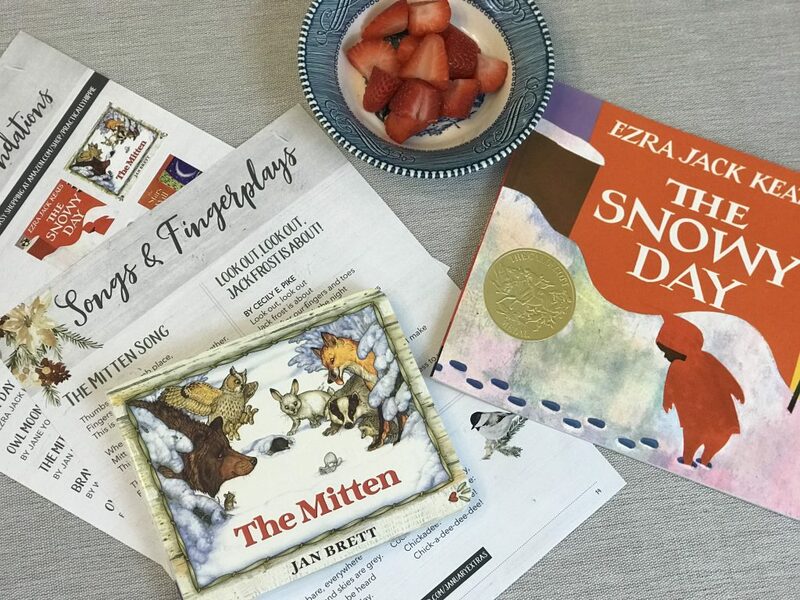 Rooted Childhood includes a monthly age appropriate children’s picture book list, poetry, handi-crafts, fingerplays, family activity suggestions and more. 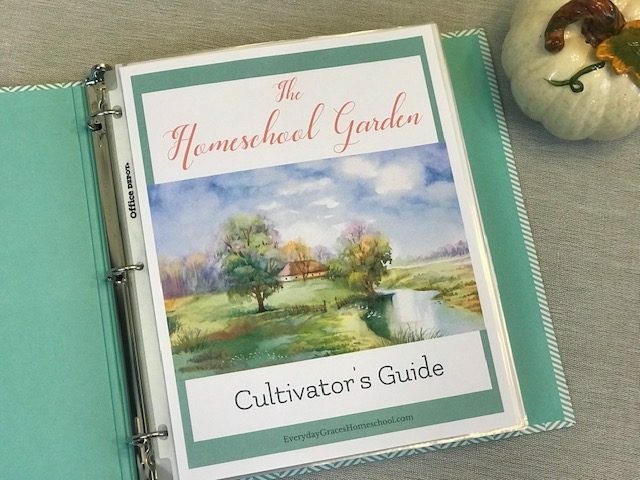 The Homeschool Garden Morning Time Plans include 2 monthly tea times fully planned out for you! 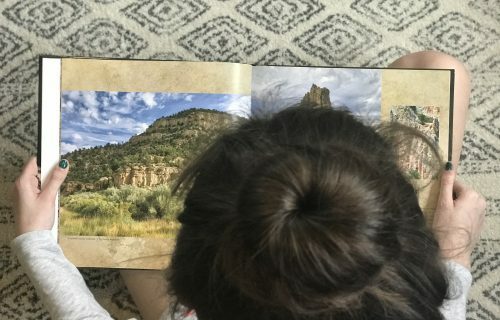 This has been a wonderful resource for my multi age homeschool family. Check Out The Homeschool Garden Here. 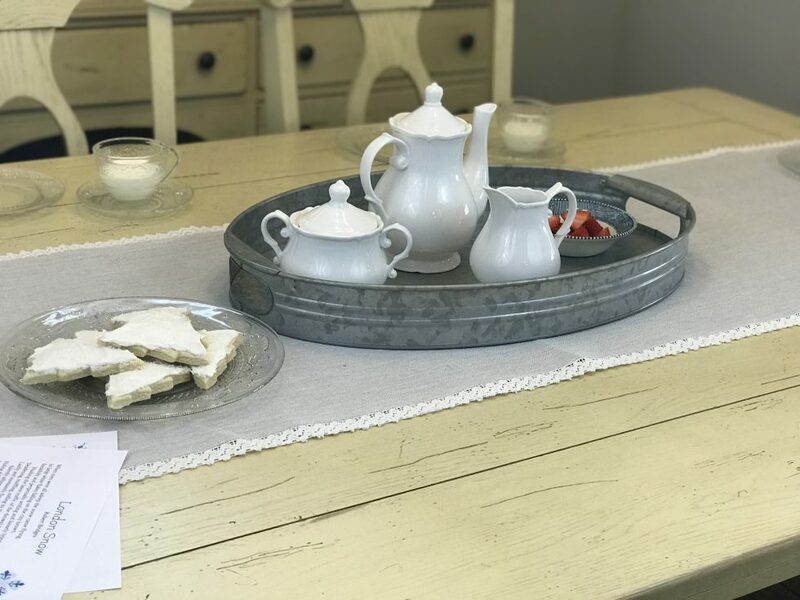 Poetry tea time can help you cultivate a homeschool you love while making precious memories with your children. 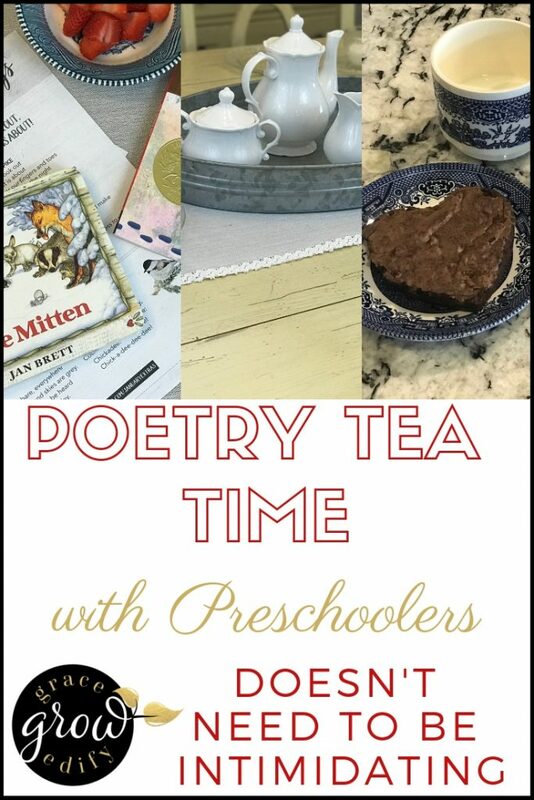 I hope these practical tips can help you enjoy poetry tea time with your preschoolers too!